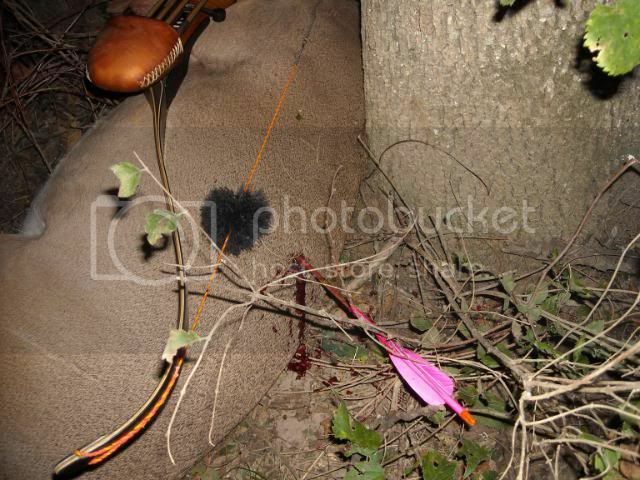 The arrow had penetrated to the fletching, but worked it's way back out slightly, I guess after he fell. 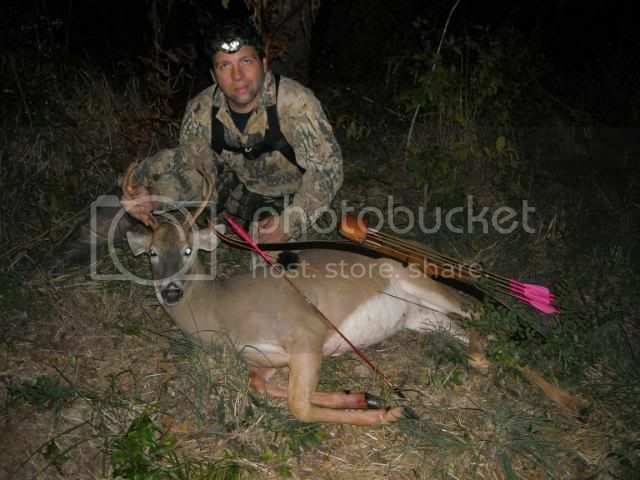 The broadhead is coming out of the chest here. It was poking much farther out than it is here. My first heart shot with a bow of any kind! Very nice deer! 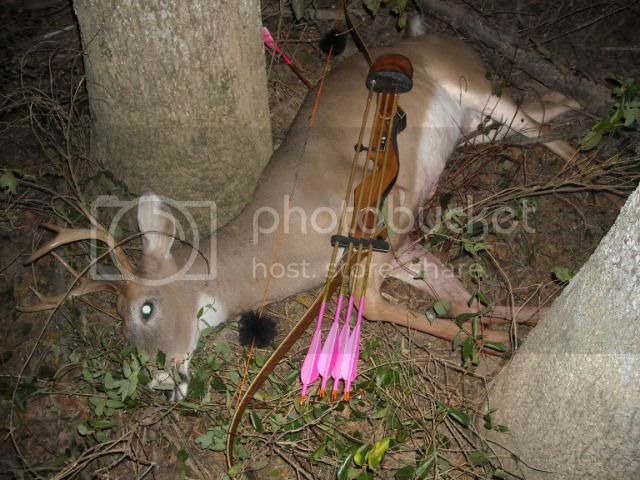 i have some arrows that look almost as good as those and are pink as well! Amazing how these old slow shooting bows get such great penetration isn't it ? Congrats are a good buck. I likethe pic with the arrow still in it!! awesome!! 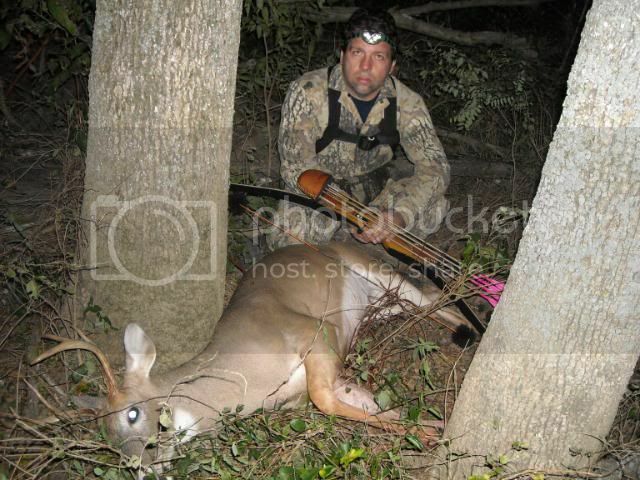 I love the fact that you took that buck with a 48# bow! We all know the facts but some people just don't understand. Great shot 4thrills! Love the arrows too. Congrats Doug. Just curious, how far did he run? 40 yards max. I watched him go down even. Awesome sight.